LED lighting and a light-harvesting system help Garver beat the Arkansas energy code by nearly 40 percent. Our modular furniture was purchased from a shuttered office building in New Jersey. Garver paid 7 1/2 cents on the dollar to outfit the campus. Our fitness equipment came from a bankrupt fitness facility. Garver paid about 13 cents on the dollar for the equipment. Aggressive recycling practices during construction are estimated to have reduced construction waste sent to landfills by 75 percent. 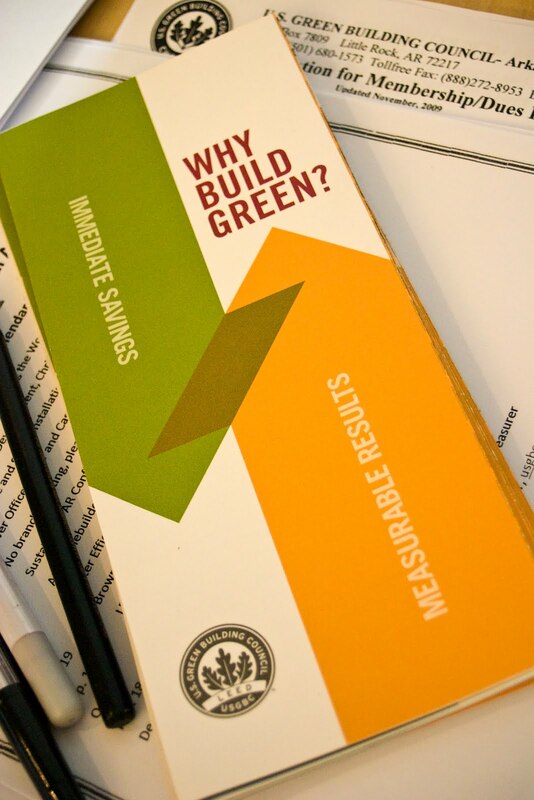 The U.S. Green Building Council - Arkansas Chapter seeks to create a legacy for future generations based on responsible planning, design, construction, and operation of the state's buildings, landscapes, cityscapes, and neighborhoods.